Tom Petty's family has confirmed his death last year was due to an accidental drug overdose. 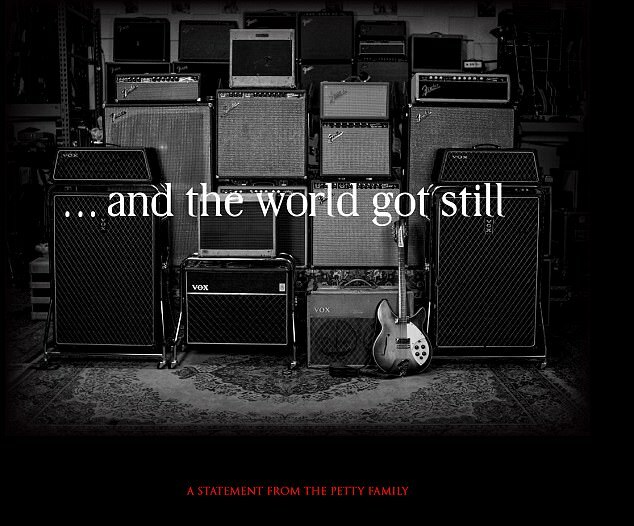 His wife and daughter released the results of Petty's autopsy via a statement on his website, and through a link on his Facebook page Friday night. Dana and Adria Petty said they got the results from the coroner's office earlier in the day that the overdose was caused due to a variety of medications. 'We knew before the report was shared with us that he was prescribed various pain medications for a multitude of issues including Fentanyl patches and we feel confident that this was, as the coroner found, an unfortunate accident,' his family wrote. It was also confirmed that while he had been touring with a fractured hip, Petty's fracture had escalated into a total break leading up to his untimely death. 'Many people who overdose begin with a legitimate injury or simply do not understand the potency and deadly nature of these medications,' the family wrote in the statement. 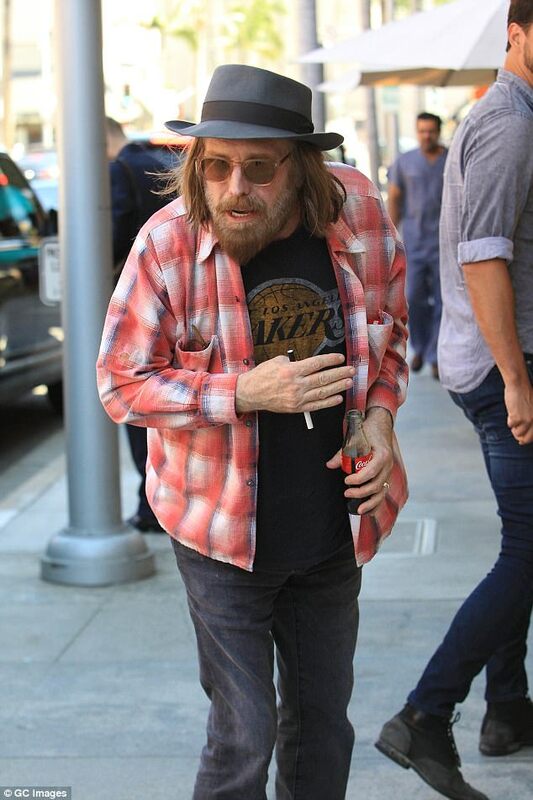 The statement was posted moments before the Los Angeles coroner's office issued its official findings, which confirmed that Petty had a variety of medications, including fentanyl and oxycodone in his system. The official cause was ruled as 'multisystem organ failure' caused by accidental drug toxicity, the Los Angeles County Coroner said Friday. Other drugs in the singer's system included temazepam, alprazolam, citalopram, acetylfentanyl and despropionyl fentanyl, the coroner's office said. 'A lot of these are found in prescription drugs,' said Brian Elias, a coroner’s spokesman, as reported by the Los Angeles Times. 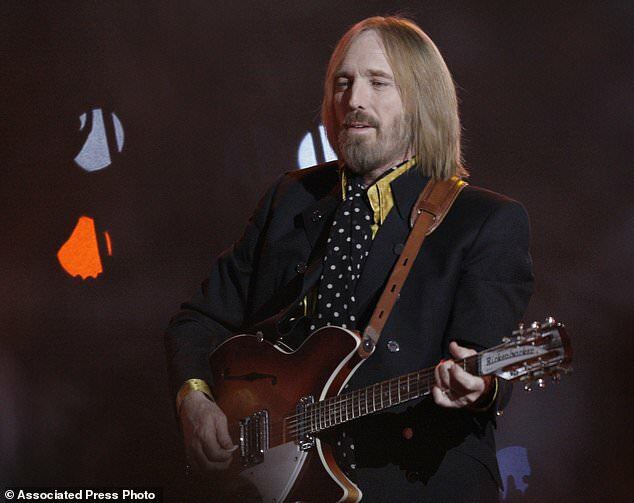 Petty suffered from emphysema, a fractured hip and knee problems that caused him pain but he was still committed to touring, his family said. It was Petty's long-time manager, Tony Dimitriades, who first confirmed his death to the public in October. 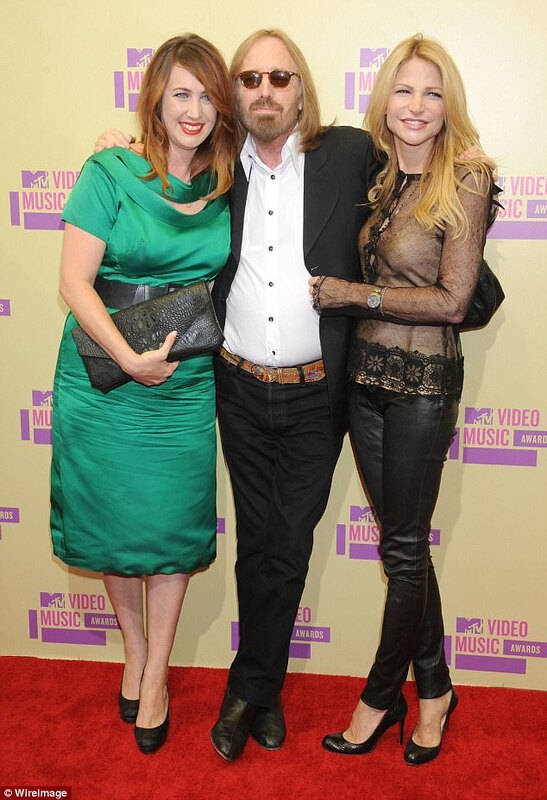 'On behalf of the Tom Petty family, we are devastated to announce the untimely death of of our father, husband, brother, leader and friend Tom Petty,' Dimitriades wrote in a statement on October 2. He had just wrapped up a word tour with his band, The Heartbreakers, a week before he died in October at age 66. 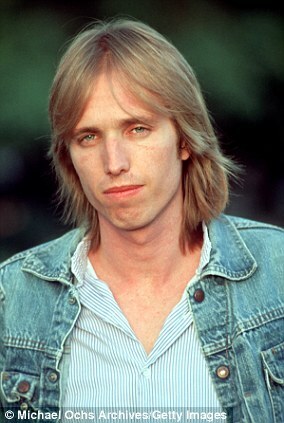 The last song Petty performed was American Girl. 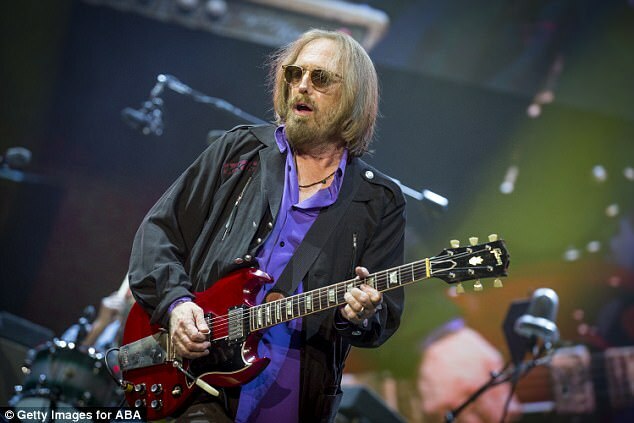 'Our family sat together this morning with the Medical Examiner – Coroner’s office and we were informed of their final analysis that Tom Petty passed away due to an accidental drug overdose as a result of taking a variety of medications. 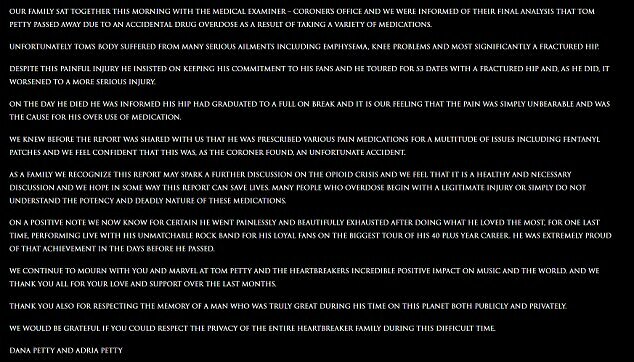 'Unfortunately Tom’s body suffered from many serious ailments including emphysema, knee problems and most significantly a fractured hip. 'Despite this painful injury he insisted on keeping his commitment to his fans and he toured for 53 dates with a fractured hip and, as he did, it worsened to a more serious injury. 'On the day he died he was informed his hip had graduated to a full on break and it is our feeling that the pain was simply unbearable and was the cause for his over use of medication. 'We knew before the report was shared with us that he was prescribed various pain medications for a multitude of issues including Fentanyl patches and we feel confident that this was, as the coroner found, an unfortunate accident. 'As a family we recognize this report may spark a further discussion on the opioid crisis and we feel that it is a healthy and necessary discussion and we hope in some way this report can save lives. Many people who overdose begin with a legitimate injury or simply do not understand the potency and deadly nature of these medications. 'On a positive note we now know for certain he went painlessly and beautifully exhausted after doing what he loved the most, for one last time, performing live with his unmatchable rock band for his loyal fans on the biggest tour of his 40 plus year career. He was extremely proud of that achievement in the days before he passed. 'We continue to mourn with you and marvel at Tom Petty and the Heartbreakers' incredible positive impact on music and the world. And we thank you all for your love and support over the last months. 'Thank you also for respecting the memory of a man who was truly great during his time on this planet both publicly and privately.